I have been excited by laminated pastries ever since I was a boy, watching my gran make up batches. 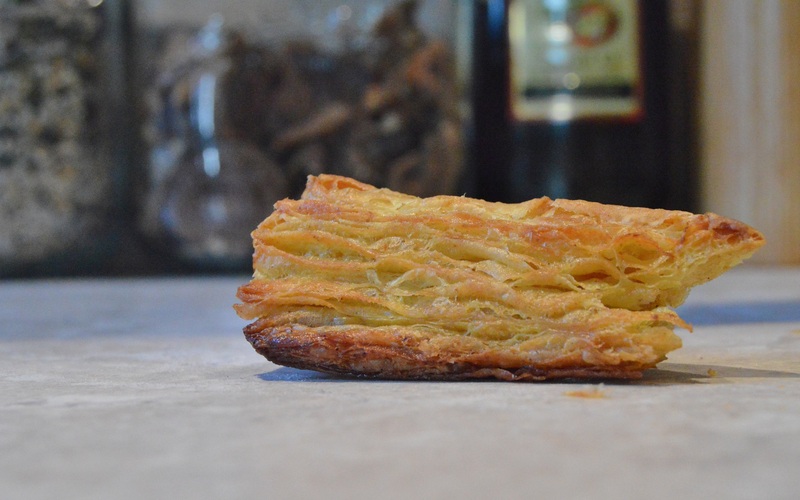 I love the process of achieving those buttery, light layers that melt in the mouth, especially with rough-puff pastry, a much simpler cousin to puff pastry. 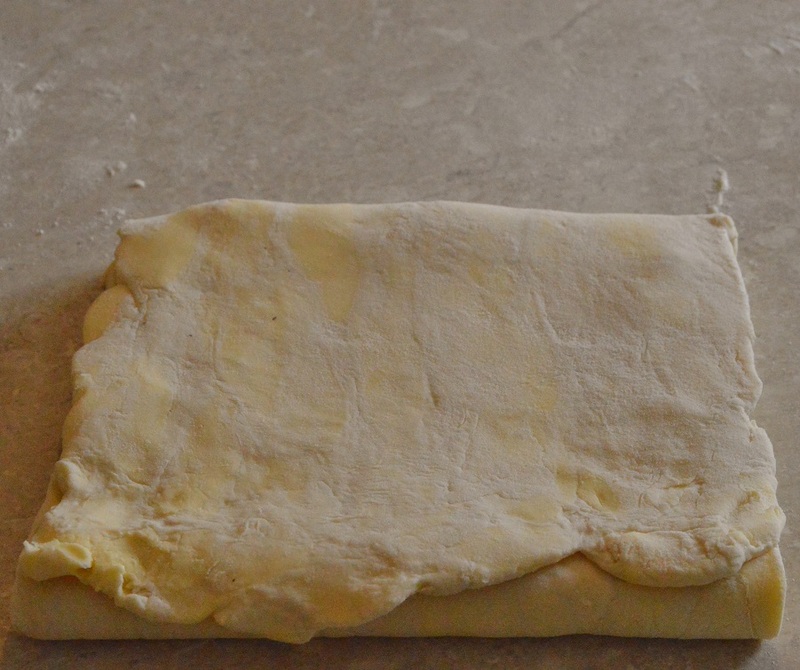 In this post I give the recipe for a fool-proof rough-puff pastry, along with recipe ideas for using the pastry. 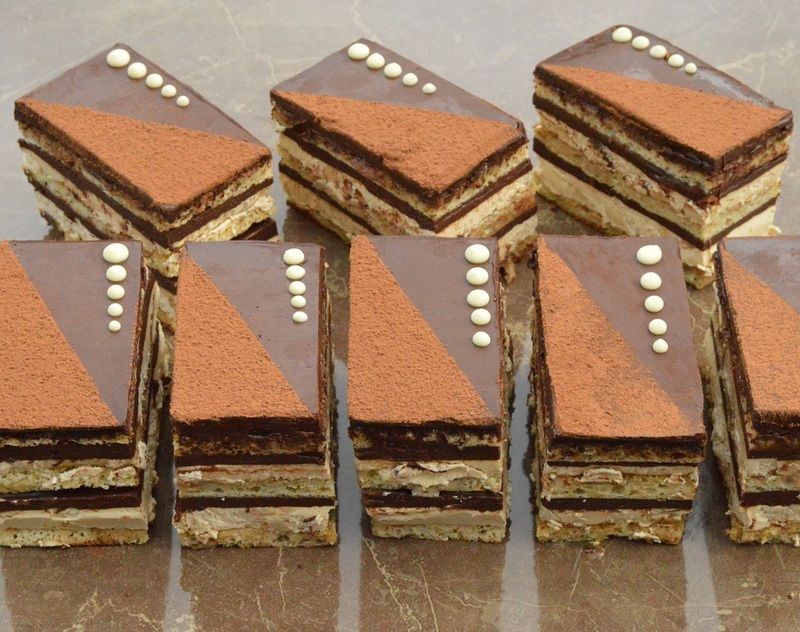 Rough-puff pastry is the easiest of the laminated pastries and is the pastry is the pastry I make more than any other. 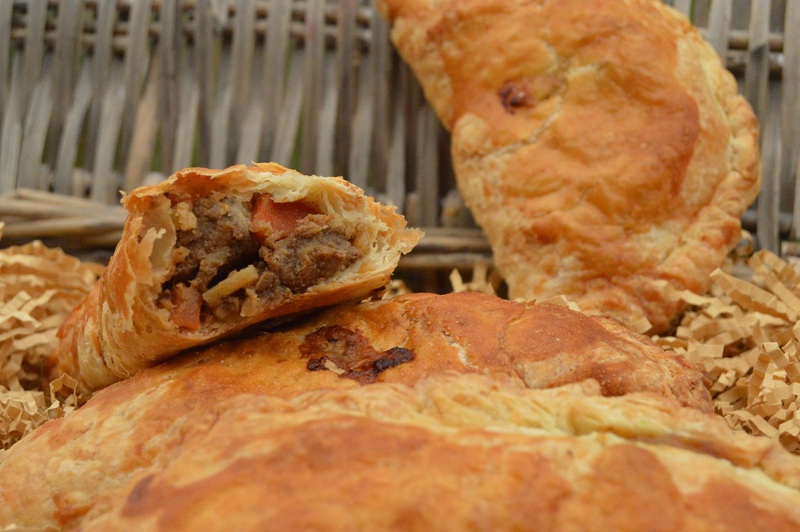 It is usually my pastry of choice for bakes such as sausage rolls, Cornish pasties, cream horns and many pies or tarts. There are many recipes for rough-puff, with some using a higher proportion of butter to flour, but this is the one I have used for decades. 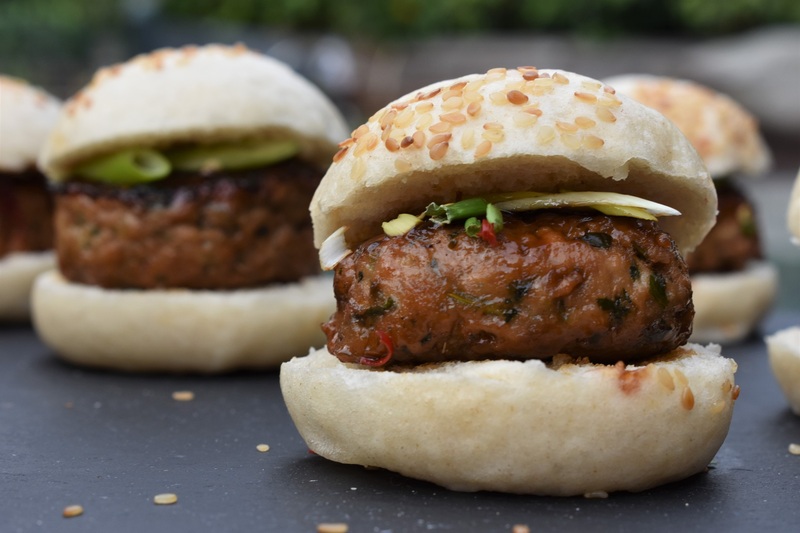 Click here to scroll straight down to the recipe. 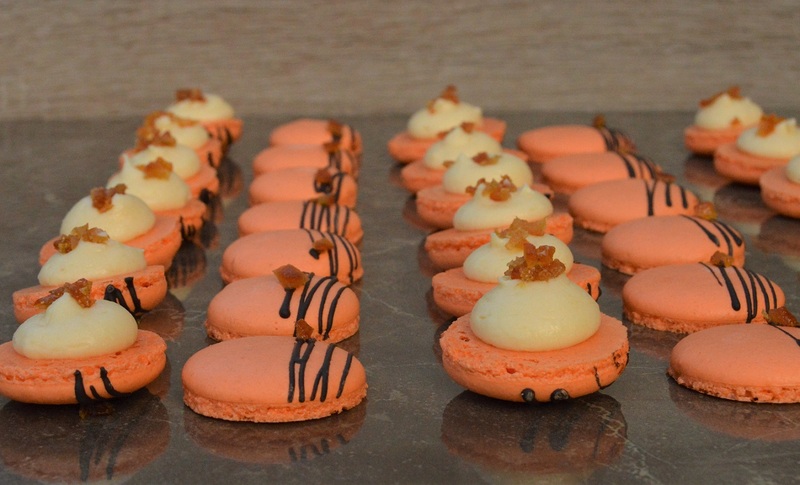 I have also given flavour variations (adding spices or herbs to the flour), as well as making brief reference to full-on puff pastry and for yeasted variations (used for croissants, pains au chocolat and Danish pastries), with links to croissant dough at the bottom of the post. It is much cheaper to make rough-puff pastry than it is to buy the excellent all-butter puff pastry. 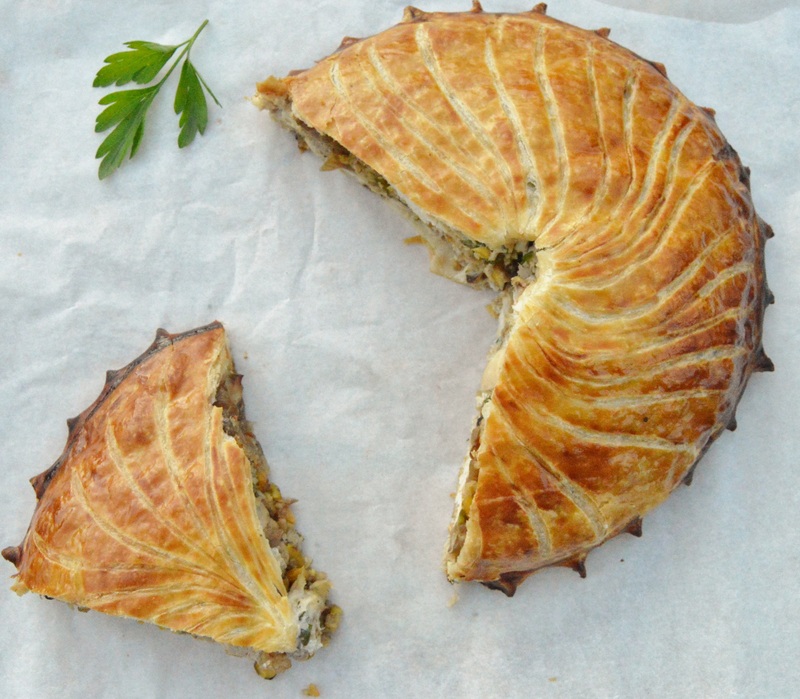 It is also much much quicker to make than puff pastry. 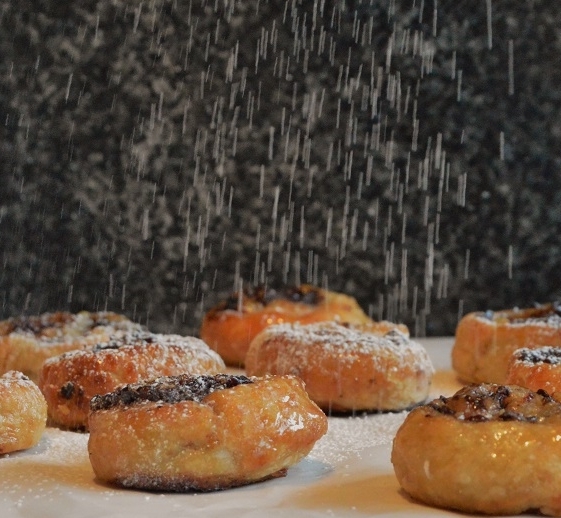 While rough-puff does not flake up to the heights that puff pastry does, for the vast majority of pastry bakes that call for laminated pastry, it works brilliantly. 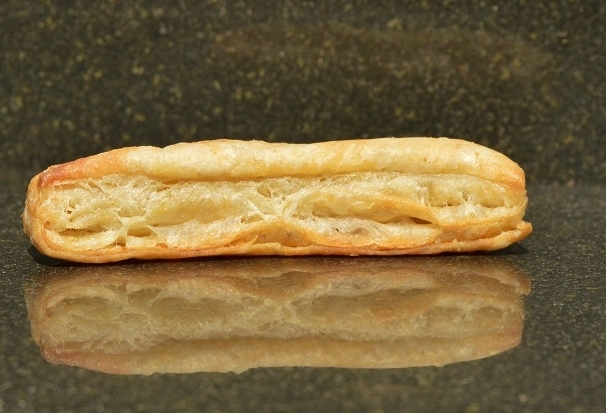 The all-butter puff pastry you can buy in the shops really IS a God-send, though, but it has to be the all-butter pastry: the puff pastry that does not contain butter (oils and the like) is not good at all, often leaving a claggy after-taste in the mouth. 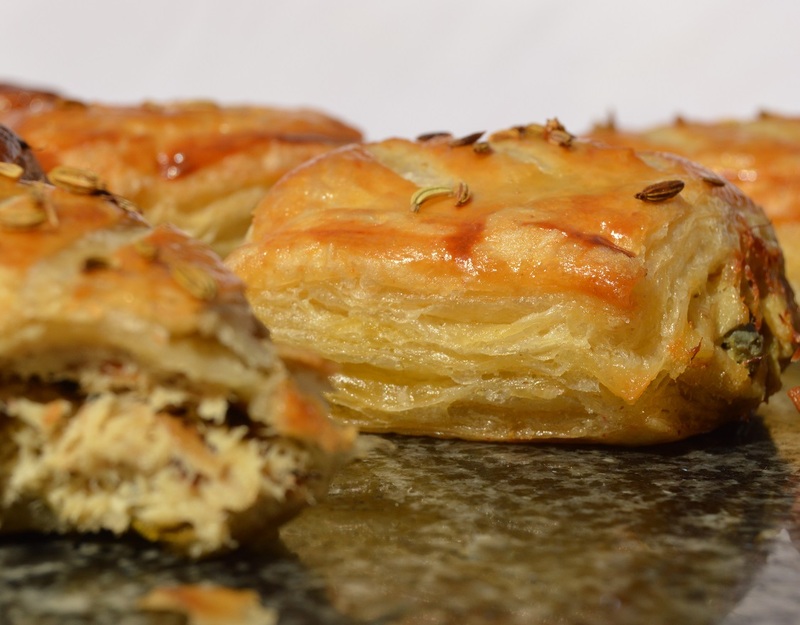 Puff pastry is for me the king of pastries: a pastry that rises to a good height when it is baked, with hundreds of crisp, very clearly defined wafer-thin layers that melt in the mouth. 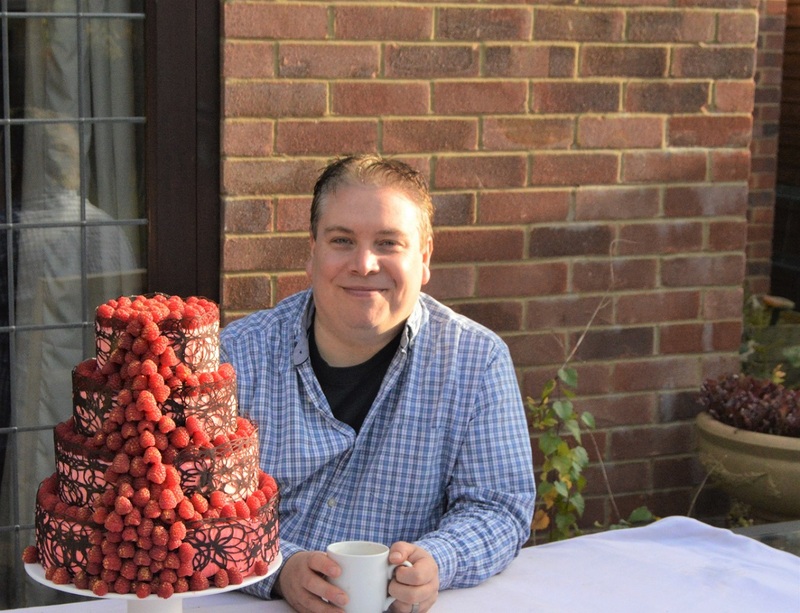 A truly majestic pastry. 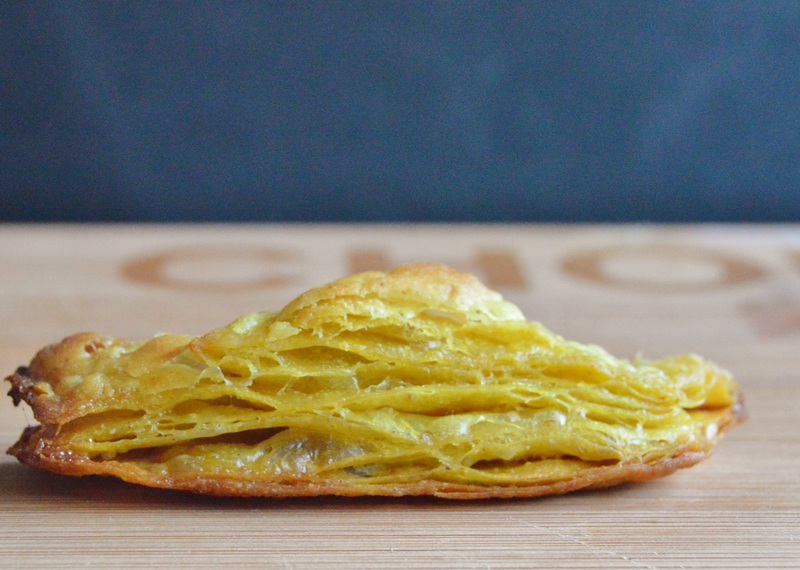 Rough-puff pastry also has crisp, buttery layers but not as many as puff pastry, and it doesn’t rise up as much as puff pastry. 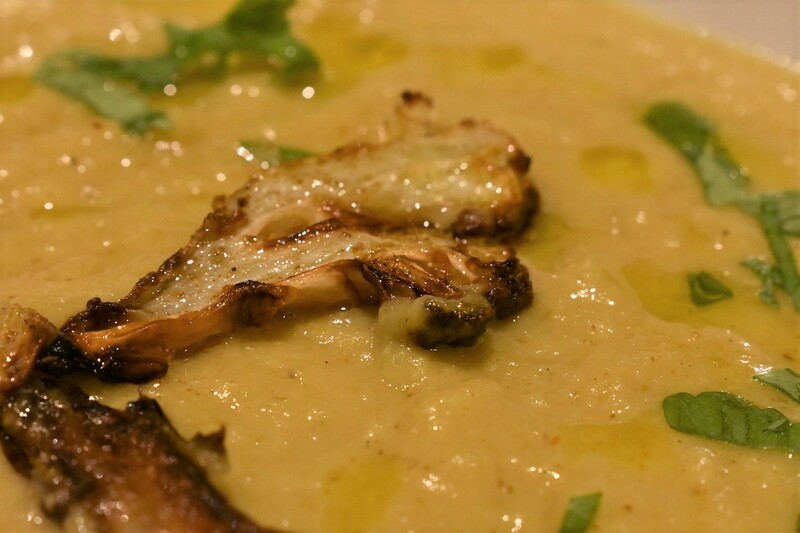 However, it is significantly quicker and easier to make than puff pastry. A batch of very good rough-puff pastry can be made up in about 20 minutes (plus at least half an hour chilling in the fridge afterwards before use). For the most outstanding results it does benefit from a little chilling once the initial dough is formed and between each turn: but even that is no hardship! Puff pastry, however, takes many hours to make, although for most of that time the pastry is chilling in the fridge: it needs to in order to relax the dough, making it easier to roll out: if you don’t rest it, the dough gets resistant to rolling out so you end up putting more pressure on it, thereby risking crushing some of the layers already created. I don’t make puff pastry that often, as rough-puff usually does the trick, but puff pastry remains one of my top rainy day bakes! 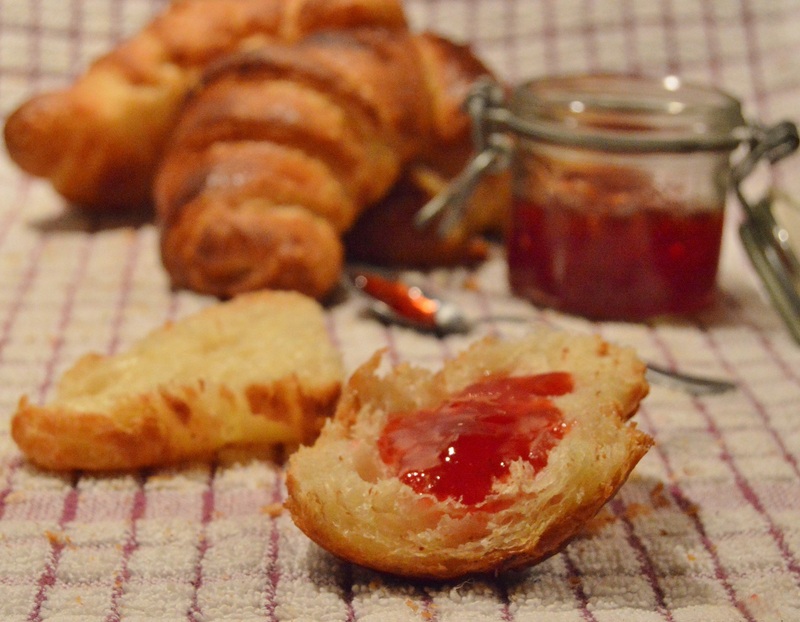 The approach for both pastries is the basis for croissants: the key difference being the addition of yeast in the dough. 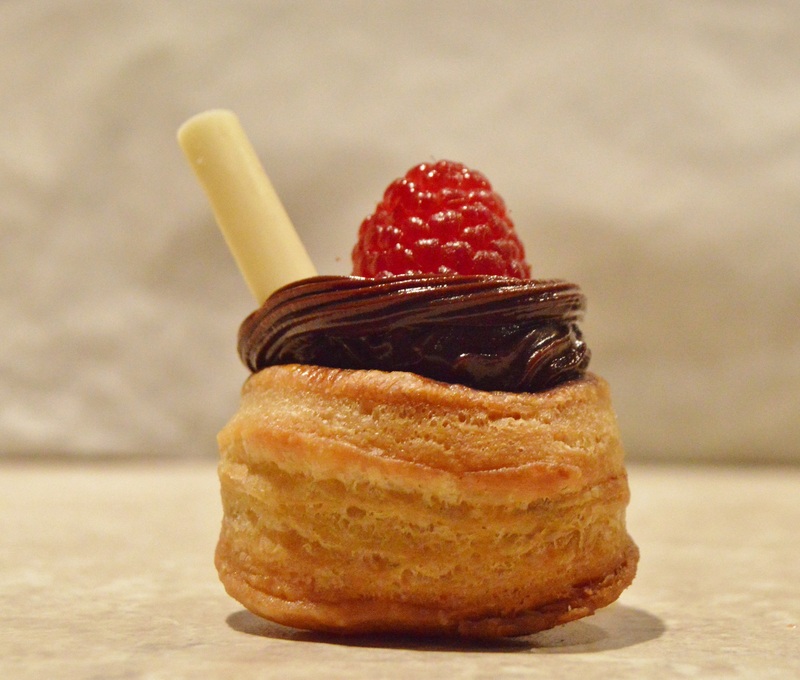 I have given links for recipes for yeasted laminated pastries at the bottom of the page, including the rough-puff version of yeasted laminated pastries for short-cut croissants. It’s how you add the butter! In terms of making the pastries, the key differences between these wonderfully light and buttery pastries are how the butter is incorporated and how the dough then gets worked. 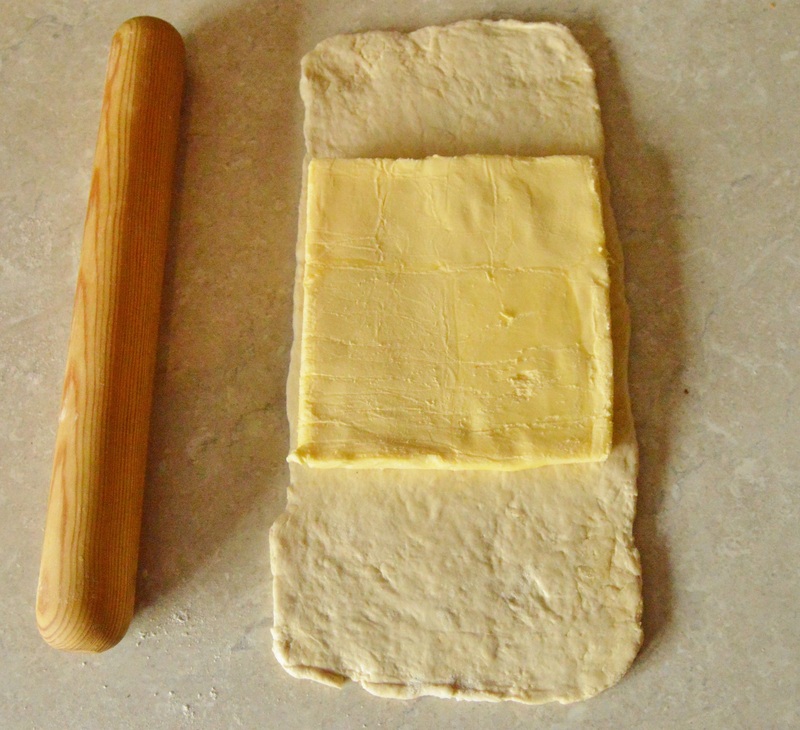 With puff pastry, a dough is made without the butter initially, and the butter is then incorprated in one thin slab. This gives perfectly flat sheets of butter amid the layers of the dough, resulting in the very clearly defined layers in the baked pastry: kind of like seeing the pages of a book from the side, but with thin gaps between each page. 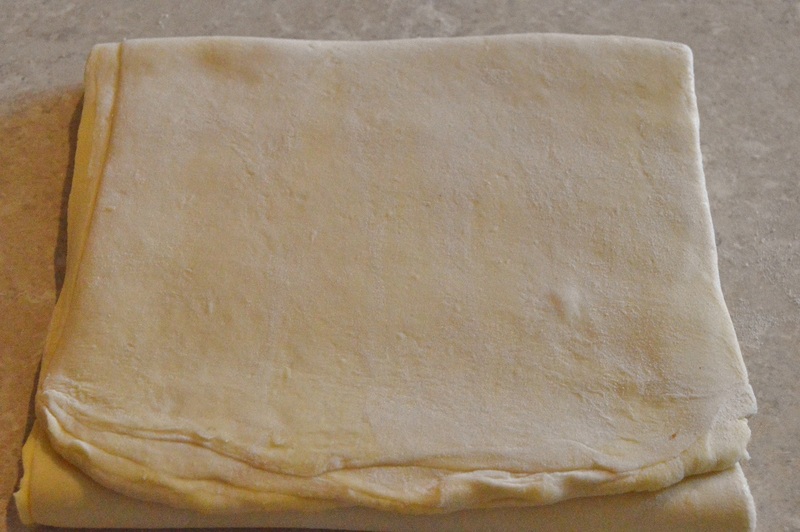 With puff pastry the dough has to chill a lot after every one of the many stages (typically 6-7 turns). 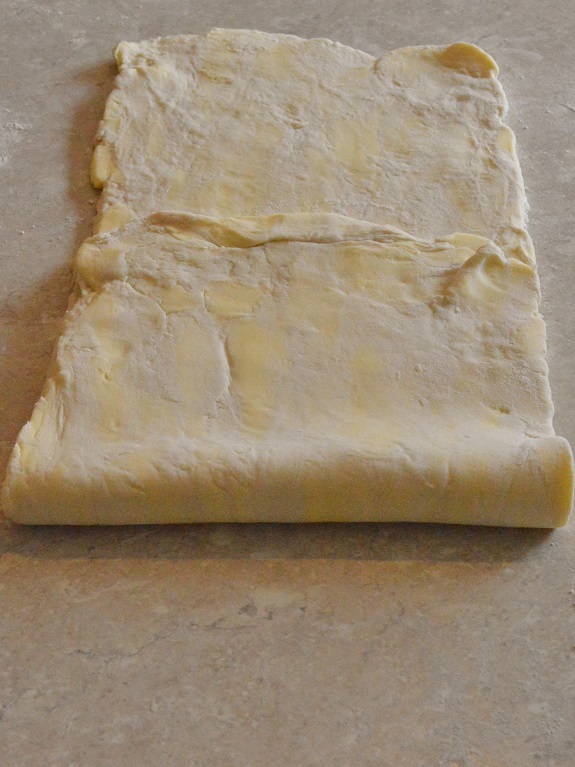 With rough-puff, the butter is added into the flour in small pieces at the start, formed into a dough and then rolled out in a similar way to puff pastry but with fewer turns (typically 3 turns). It doesn’t have to be chilled quite as much between each turn, although I tend to chill it in order to get the best layering. Or use grated frozen butter! 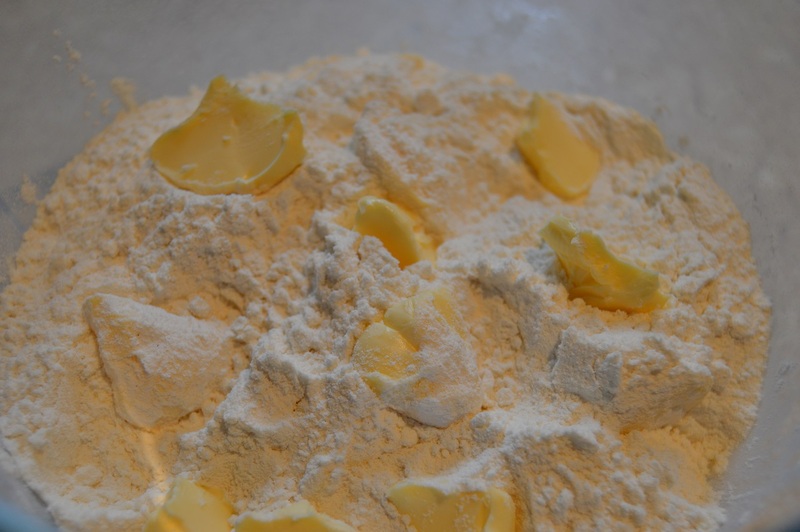 You can make an even quicker version of rough-puff, using grated frozen butter rather than pieces of butter, making the dough and then the 3 turns in one go, without chilling apart from at the end. 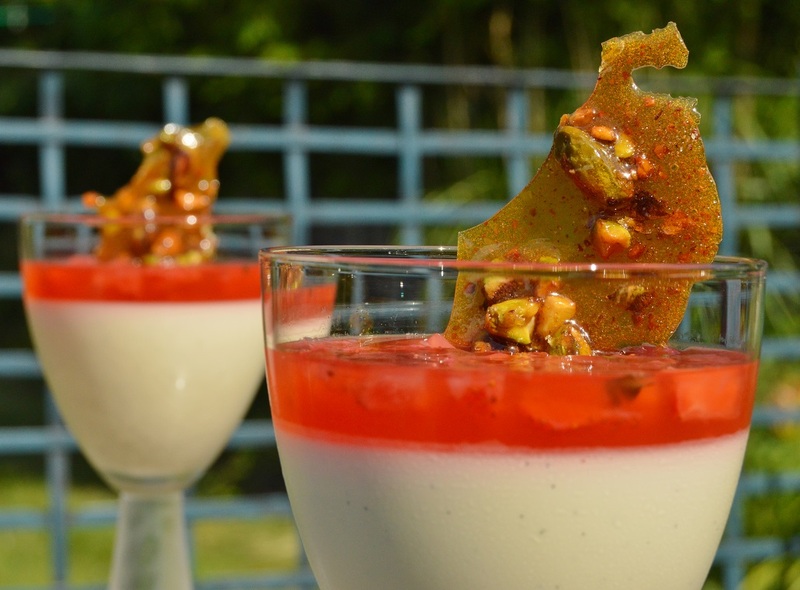 Delia Smith got me onto this idea decades ago in her brilliant A Complete Cookery Course. Her version does not have turns: you just make up the dough with the grated frozen butter in it, chill it, roll it out and use it. 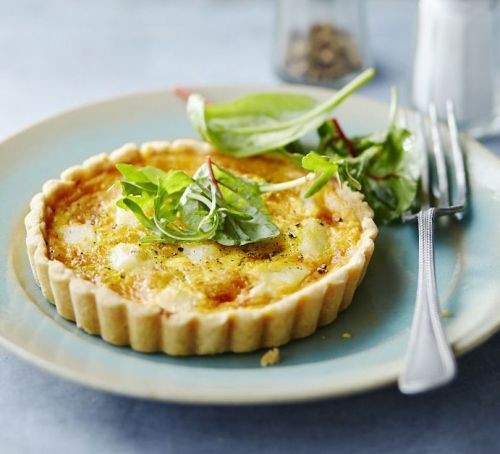 You don’t get much in the way of layering, but it still gives a light, flaky pastry. The turns give the layers. Essentially, you roll out the dough and fold it up, repeating this several times. There are several types of turn, with envelope (standard) turns and book turns being the most common. An envelope turn, which I explain in the recipe below, along with pictures of each stage, gives you three layers each time. A book turn gives you 4 layers each time. 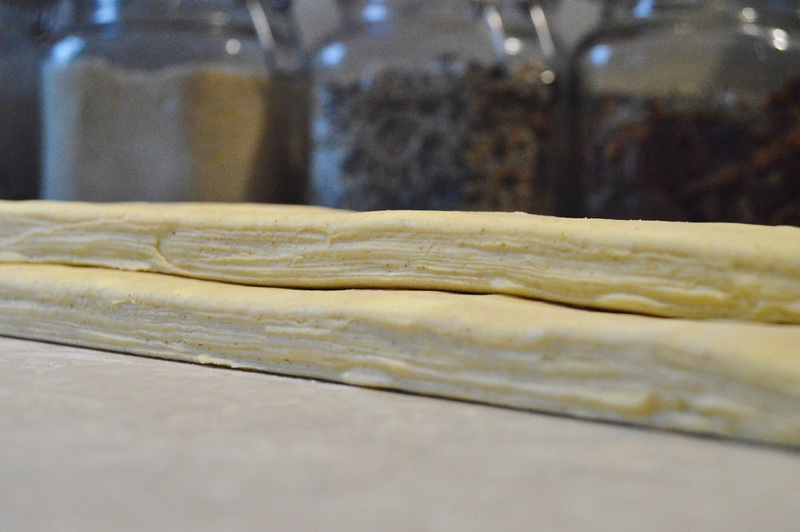 It is quite common to start with a book turn (to build up more layers early on) and then a sequence of envelope turns, but to be honest I almost always go for the envelope turn each time, and certainly when I am making a short-cut laminated pastry such as rough-puff. Besides, there is not really much discernible difference in the finished pastry. Sticking with three envelope turns, you get 3 x 3 x 3 =27 layers. With a book turn followed by two envelope turns, you get 4 x 3 x 3 =36 layers. 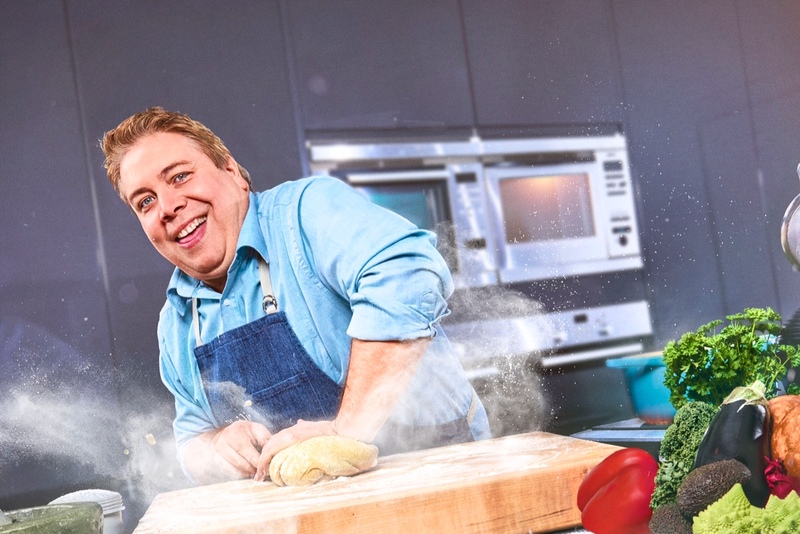 Keep everything cold: the water, the dough, even the flour! And while an excellent rough-puff pastry can be made in about 15 minutes, chilling between turns gives even better results. Keep the edges as straight as possible so you get clear rectangles when you roll out at the first turn: you can gently pull the corners to achieve this. If they are straight at the first turn, it is easier to maintain this in the subsequent turns. I don’t tend to slavishly measure the dough at each rolling out, but the batch I did here went to about 20cm wide and 50cm long. 3 turns with rough-puff gives enough lightness and flake for most bakes. You can just about do the 3 turns one straight after the other without chilling the dough in between each turn, but if the kitchen is warm or the dough feels slightly warm (or at all sticky) pop it in the fridge or even the freezer for about 20 minutes. Either way, you do need to chill the dough for at least 30 minutes after the final turn (ie: before you are ready to use the pastry). 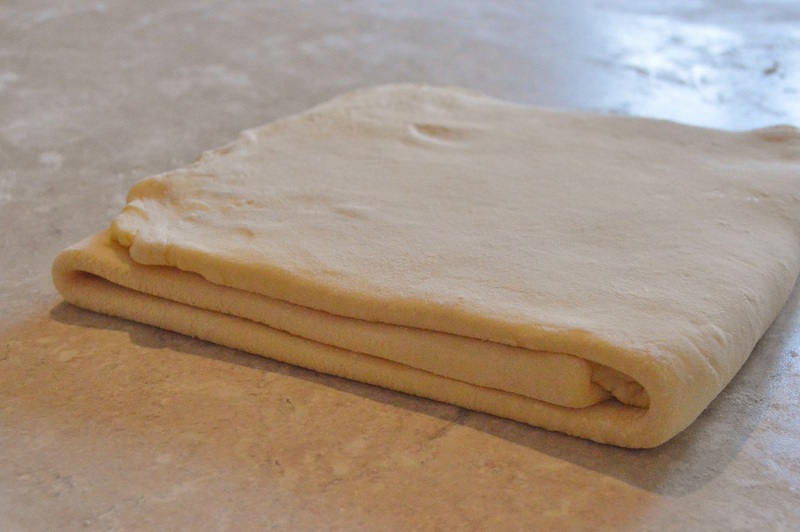 Similarly, if the pastry is resisting while being rolled out at any stage, fold it back up again loosely and chill it for 20 minutes or so before continuing: you will notice that it will have relaxed significantly, allowing you to roll it out with ease. Don’t go mad and try to fit in too many turns: the more turns you do, the more you risk putting pressure on the dough, and too much pressure can cause the layers to squash together! (1) For the pastry, mix the flour and salt together. 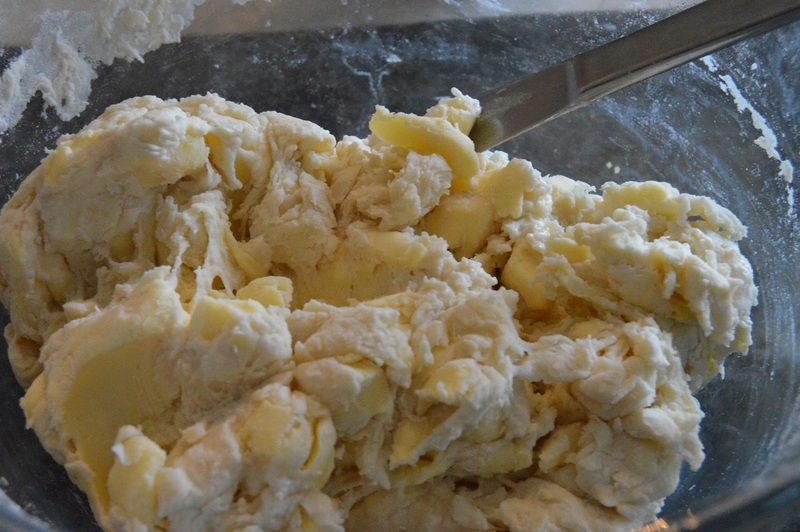 Stir in the chopped butter and coat with the flour mixture to stop the butter clumping together. (2) Stir in most of the water with a knife to form a soft but not sticky dough, adding the remaining water if necessary. 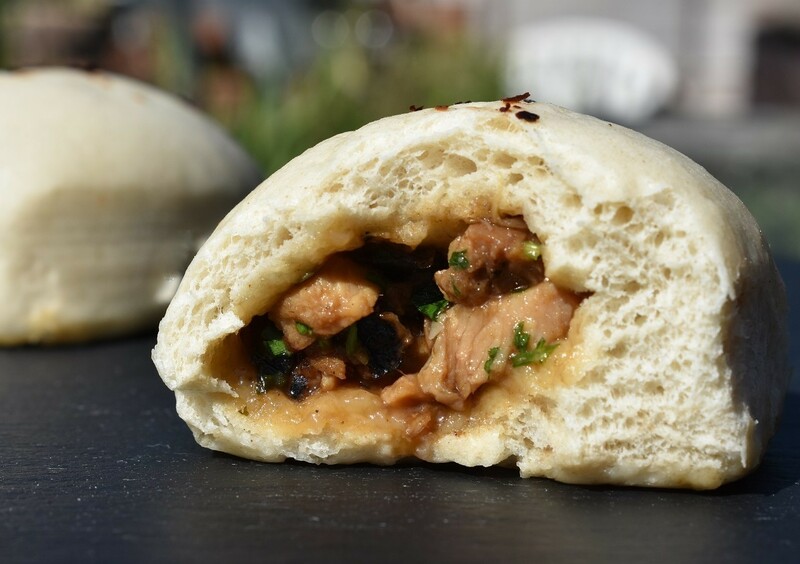 (3) Bring together to a ball without kneading it. You can chill it at this stage for about 30 minutes or proceed without chilling it. 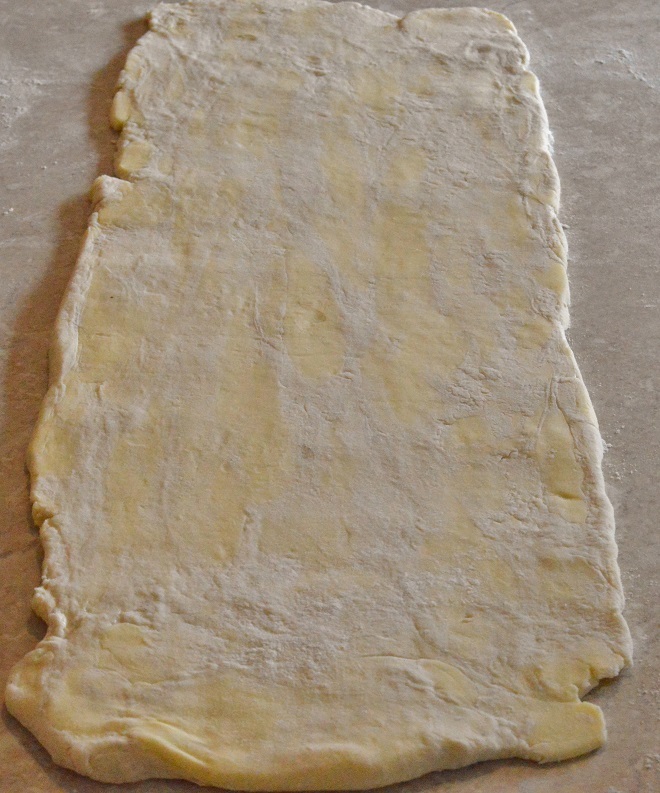 (4) Roll out the dough on a floured surface to a long rectangle about 20cm by 50cm. The dimensions do not need to be precise – just long and thin will do! The dough will look streaky to begin with but the streaks will disappear with later turns. (6) Bring the top third over the centre. This is the first turn. Now if the dough is feeling at all warm, particularly if the kitchen is warm, chill the dough for about 20 minutes before carrying on. (7) Repeat two more times. NB: it should roll out quite effortlessly without the need to put much force onto it. 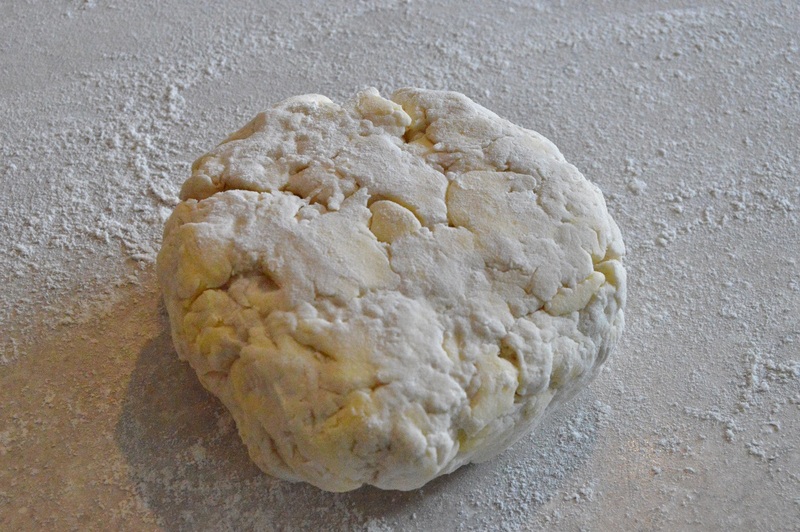 If, for the third and final turn the dough is resisting, chill it for about 20 minutes to relax the dough and continue. 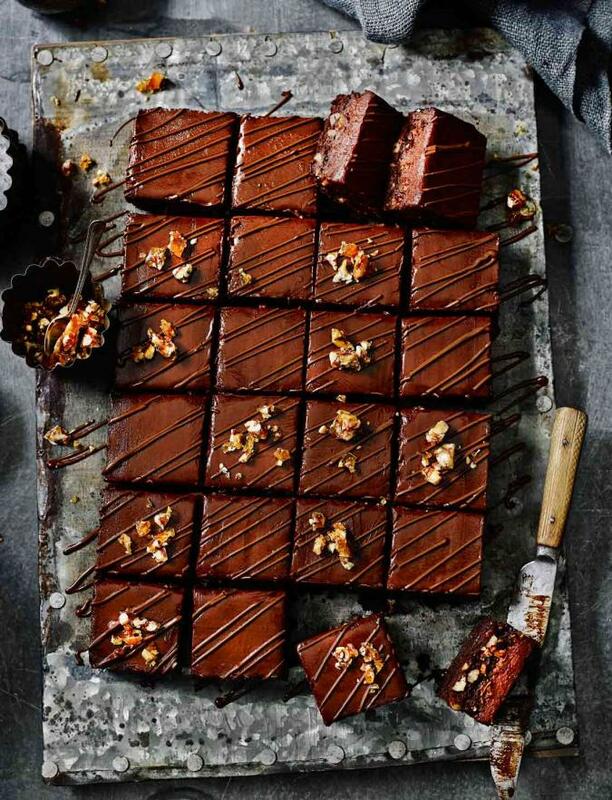 (8) After the final turn, you do need to wrap the dough in clingfilm and chill for at least 30 minutes – or freeze it at this stage. 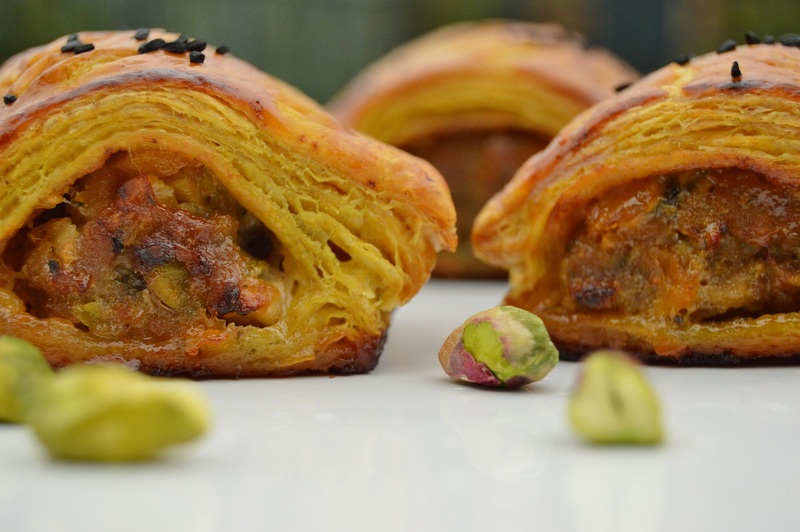 The very best sausage rolls! 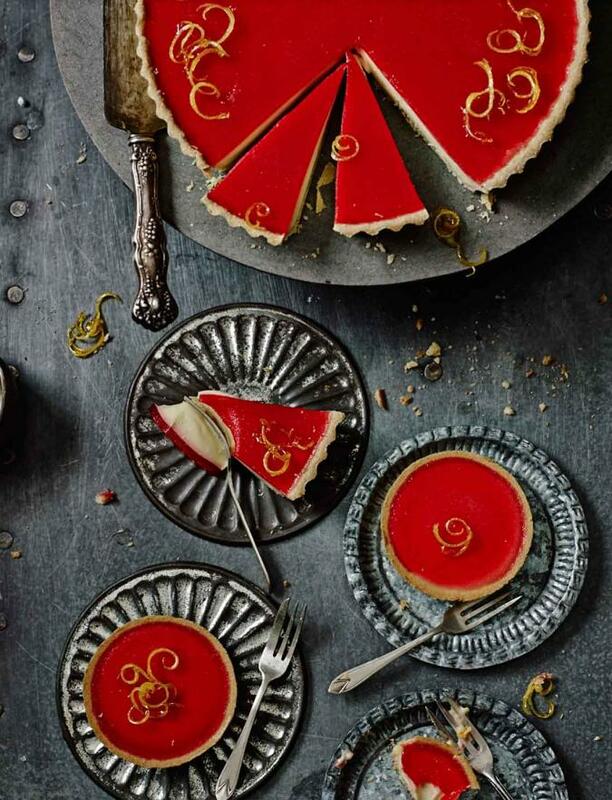 Gorgeous, one day I will get up the courage to make puff pastry. 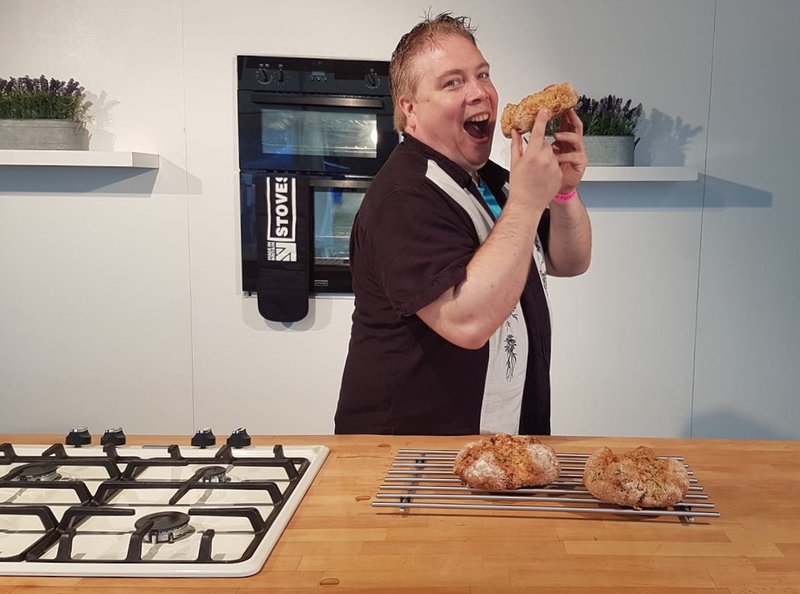 This is a great post – thank you 🙂 I have tried a croissants a couple of times and am not 100% convinced with the results and I have tried rough puff once and again I was not too pleased with the results. This is so thorough, I will definitely refer to it next time I decide to make it. 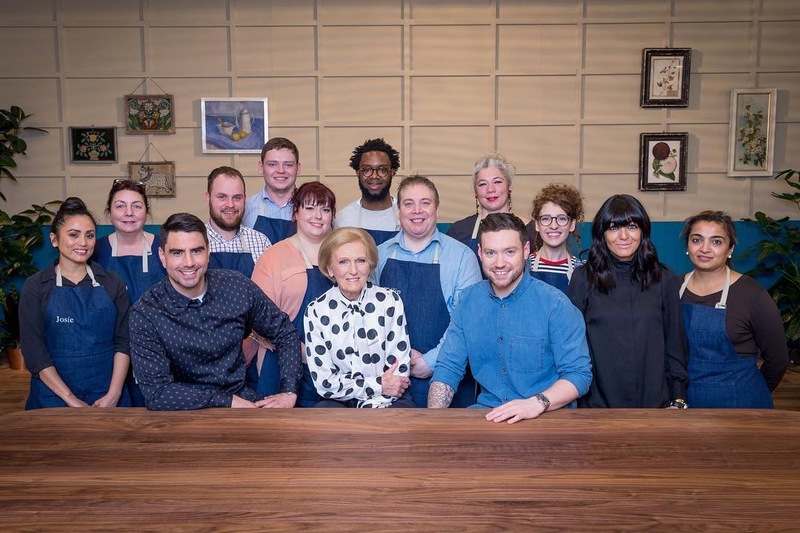 Great lesson in pastry you offer, Philip! 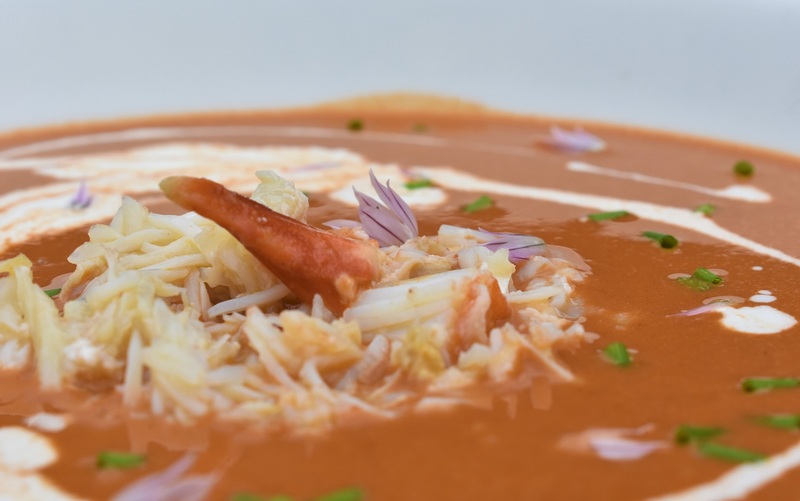 Beautiful and delectable offerings you’re sharing today!